The Guy Motors Company was founded in 1913 by Sydney Guy at Wolverhampton. 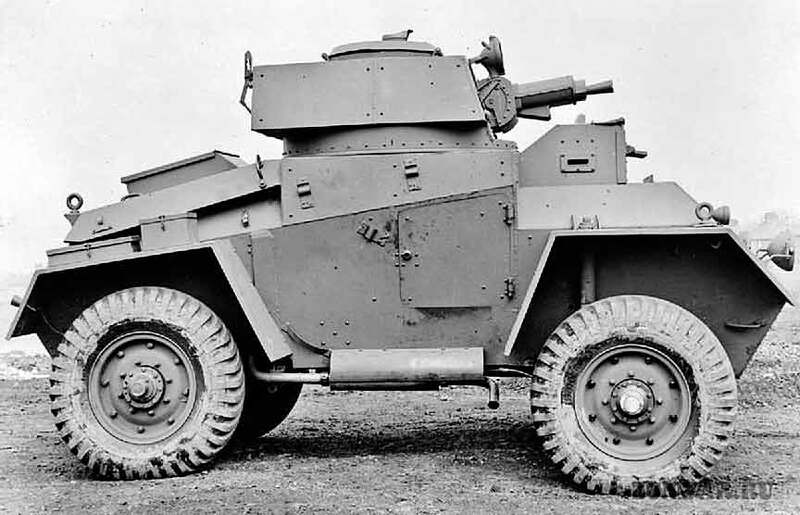 In 1938, the company built an armored car based on an Woolwich Arsenal design, using the Quad-Ant artillery tractor chassis as a starting point. The latter was used as a gun tractor and was the main product of the factory, as the activity of the firm was entirely realized through government contracts (civil production ceased). 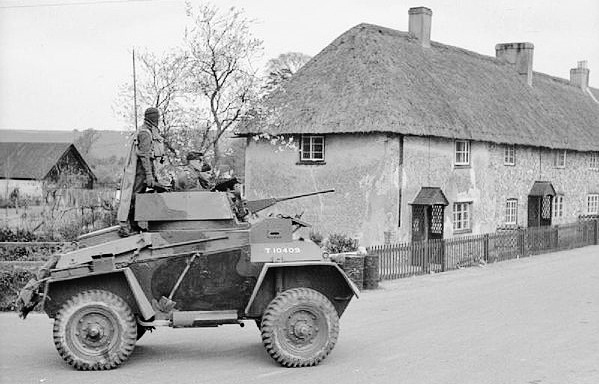 The Guy Armoured Car was the first British rear-engined, 4-wheel drive, armored car. By September of the year, three had been built and later successfully tested in 1939-40. Despite the fact that other, more technically advanced vehicles were being proposed, the Guy was ready and chosen instead. 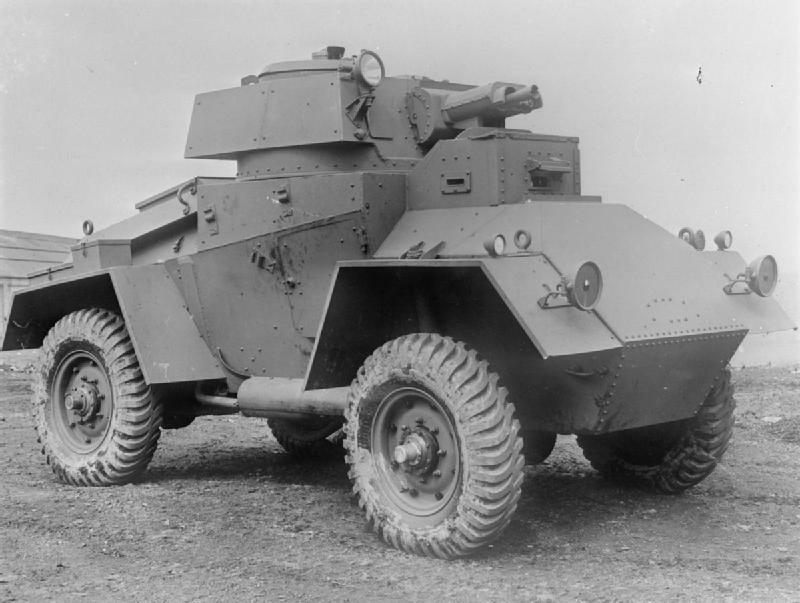 The Army ordered 101 of these as the Tank, Light, (Wheeled) Mark I. Further orders failed to arrive because the company did not have the industrial capacity needed to fulfill them. 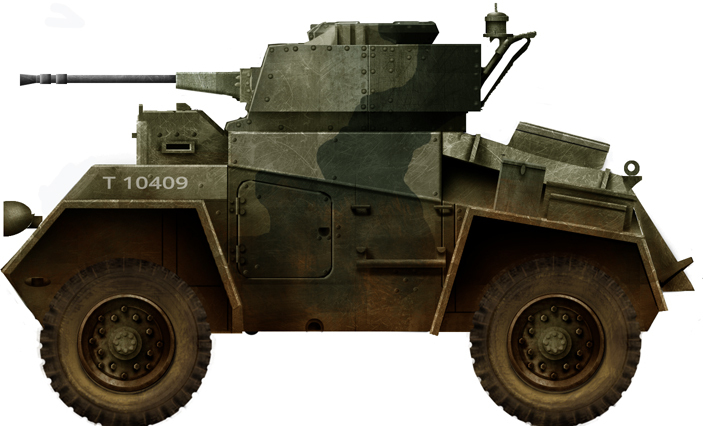 The blueprints were sold to the Rootes Group, which married the Guy hull with a Karrier KT 4 artillery tractor chassis to create the Humber armoured car. 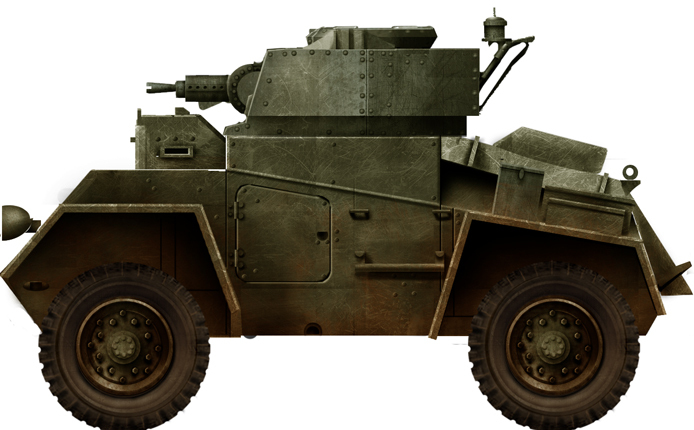 The Guy Armoured Car featured an important innovation: it was the first to have an entirely welded hull (which was at first thought impossible). It was an idea coming from Sidney Guy, the person who also introduced the first welding rotating jig, which was needed to be able to build the hull. The latter was recognized by the Royal Commission for Awards after the war. In fact, this technique was largely adopted and according to data, saved the country an estimated 100 million pounds. The vehicle had a sloped glacis plate and sloped sides. It was split into a front-center driver compartment, a middle fighting compartment and rear engine one. It had all-out homogeneous hard un-machinable plates, 8 to 15 mm (0.31-0.59 in) thick (frontal arc). The engine was a Meadows 4ELA 4-cyl petrol which developed 55 hp (41 kW). It gave a power-to-weight ratio of 10.6 hp/tonne. The transmission had 4 forward and 1 reverse gears. The top speed was about 40 mph (64 kph) on roads, with good off-road characteristics. The range, however, was only 200 miles, very short for a reconnaissance vehicle. The commander/gunner (right-hand side) had a relatively low cupola with a two-part hatch. The loader (left) had a small fixed two-part hatch. 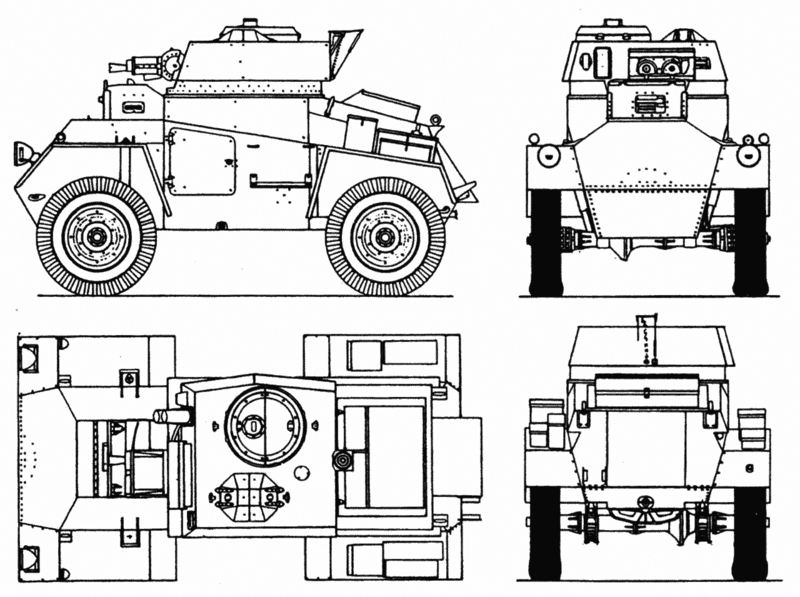 Production was split between 50 Mark Is armed with twin Vickers or Besa 0.303 (7.7 mm) machine-guns and 51 Mark 1a vehicles armed with a Besa 15 mm (0.59 in) heavy machine gun and coaxial Besa 8 mm (0.31 in), the first being able to fire AP rounds. Equipment also included a No. 19 radio set. A file of Guy Mark I Armoured Cars during training, Great Britain, 1941 – Photographer unknown. The vehicle was not ready in large enough numbers to be shipped to France with the BEF. Only six vehicles were sent, lost or captured by the Germans in June 1940, after the fall of Dunkirk. Back in the homeland, four vehicles (two with the 12th Lancers and two with the 2nd Northamptonshire Yeomanry) received additional seats and had their guns removed in 1940, for the Coats Mission. This was a unit conceived to evacuate King George VI, Queen Elizabeth, Princess Elizabeth and Princess Margaret in the event of a German invasion. 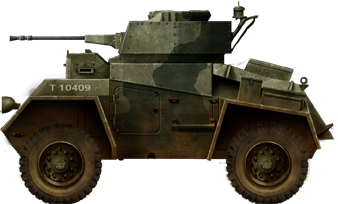 The remnants of the production vehicles were used by British, Belgian, Danish and Dutch units stationed in Britain for training until 1943 when they were replaced by more recent models. 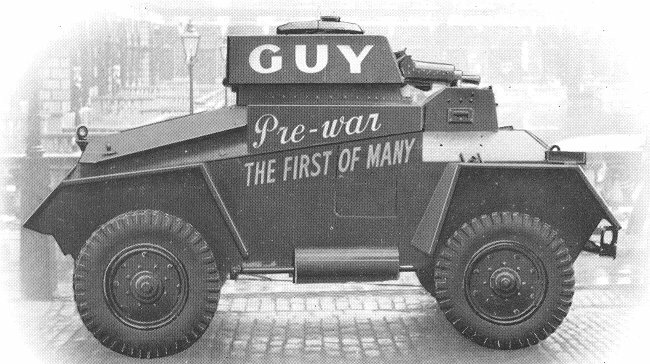 Guy Mk.1 Armoured Car, standard livery, 1940. Would someone mind telling me what was the primer colour of British armour in WW2? Was it red oxide? And what was the yellowish colour of the Crusader at Bovington? I’m building a model and would appreciate some help. Thanks. P.s. 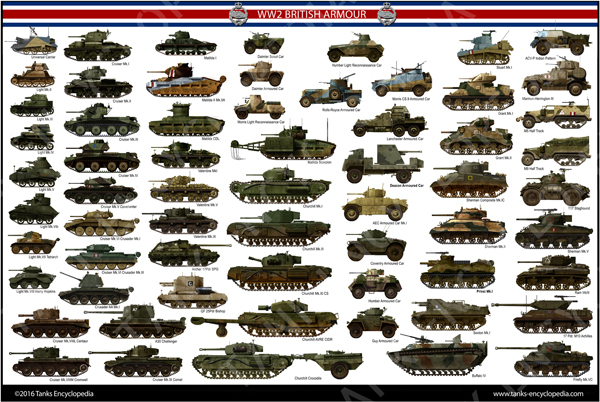 this website is awesome it not only has the history bit theres so many camo schemes I can use on my models. Hi Veeti unfortunately we don’t have access to original factory colours specs or 1939-45 army specifications yet. 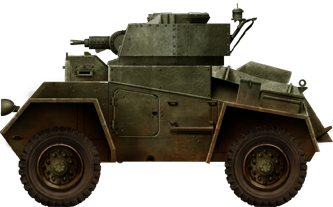 My dad drove one of these vehicles in France during May 1940. He was also the radio operator. He told me many scary stories of thatt time including his escape on June 4 from. BELGIUM aboard HMS Express. Hello Mike. Do you remember any of those stories? Can you remember which Regiment your father served with during the Battle of France. I also, like Stan would be interested in any stories that you could pass on about this period.